Shirts With Random Triangles: Charles Barkley Calls Alabama Fans: "The Most Obnoxious Fans In The World." The obviously biased Sir Charles dropped this pearl of wisdom on ESPN Radio's Rusillo & Kanell program on Friday. "I think that the SEC kind of makes you hate it because the fans are so obnoxious," Barkley said. "I can understand why people don't like the SEC. I think clearly it's by far the best football conference in the world and I think Danny will admit that. But I will admit this — the fans are the most obnoxious people. You know, Alabama fans are the worst. Then you factor in Georgia fans, you know they're awful, Florida, LSU fans." "I think Nick Saban is the greatest coach of all time in my opinion, and when I tell Alabama fans they're the most obnoxious fans in the world, you know what they say to me? They don't even say, 'No we're not.' They say, 'We're not as bad as those LSU fans.' They never take the time to say, 'We're not the most obnoxious fans.' They never try to defend themselves... When they say, 'We're not as bad as those LSU fans,' they let you know just how bad they are." 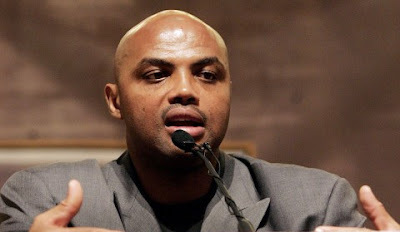 Barkley also discussed the ongoing NBA Playoffs on the program.